American Songwriter Magazine: Issue Volume 23 No. 6. 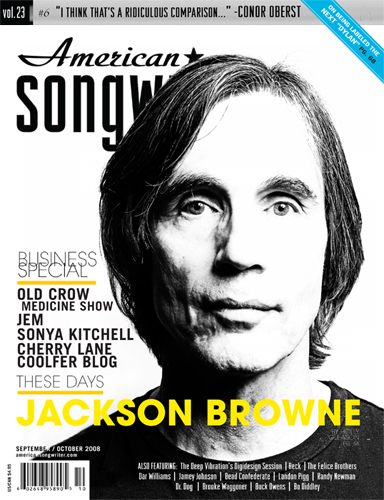 Features an interview with Jackson Browne, as well as articles about Old Crow Medicine Show, Jem, Sonya Kitchell, Cherry Lane, and more.